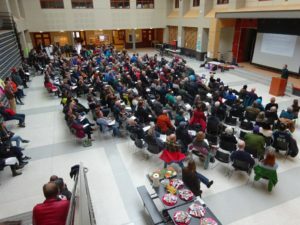 On Saturday January 7, 2017, the Wallingford Community Council held a “Wallingford Educates Wallingford” Special Meeting at Hamilton Middle School. Discussed were the HALA “Grand Bargain”, MHA Upzoning, and how this impacts our neighborhood. These changes affect all Wallingford residents, not just those living in the Urban Village. Thanks to all who attended and chose to get involved.